Hoorah! We now have the new season Oliver + S patterns in stock. 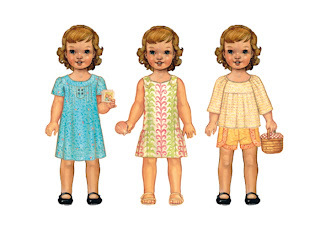 There are three new patterns, each in two sizes, the Family Reunion Dress (6m-4, 5-12), the Seashore Sundress (6m-4, 5-12), and the Class Picnic Blouse and Shorts (6m-4, 5-12). And, do I have a favourite? Oh yes... have you seen these shorts? Irresistible. Check out this great tutorial from Oh, Fransson! for Fifty Cent Weights. A fun little project for fabric weights to use for keeping paper patterns weighed down whilst cutting out, or to stop pattern pieces wafting away in the wind! I am finding mine very useful for stopping fabric slipping off onto the floor when using my rotary cutter. I used Woodcut - Passion from Anna Maria Horners Innocent Crush range for the top fabric, and Klona Cardinal for the bottom pieces. The only change I made to the pattern was to use 40 penny pieces instead of the recommended 50. I think British pennies are slightly bigger that US cents. A highly recommended tutorial... I went a little crazy and made six... how many will you make?! Part two of our Tasia Pona interview has gone into the articles section on our website... go take a read. Tasia talks about her design process, her sewing space and her favourite cocktail! And, there is (just!) still time to order your Crescent Skirt pattern in time for the sew-along which starts on Monday. 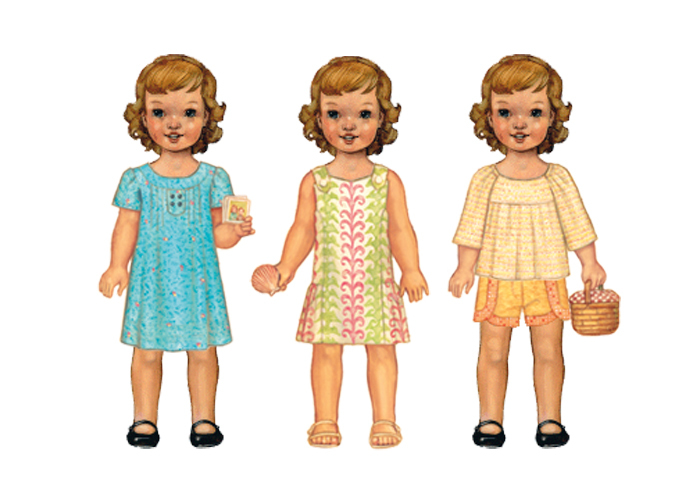 Here at Backstitch we love Sewaholic Patterns. The Pendrell Blouse has been a real hit, and the Crescent Skirt is going to be a summer staple... the Sewaholic Crescent Sew-Along starts on the 18th April, so still time to get your pattern and invaluabley be guided through every step by the designer herself. Tasia, the brains behind the label is an inspiration and her enthusiasm for dressmaking seems to just burst out of her. I was lucky enough to interview Tasia and we have part one of the interview on the site now. Thanks for reading, enjoy this sun, and Part II of the interview will be posted next week, so watch out!